Update 9.17.1 is right aroud the corner, so we're getting you up to speed regarding upcoming features and improvements. This time, we’ll walk you through updated vehicle comparison mechanics—featuring mounted equipment, Crew skills and perks, consumables, and camo—and a pack of enhancements to the simplified technical characteristics display. Shall we begin? 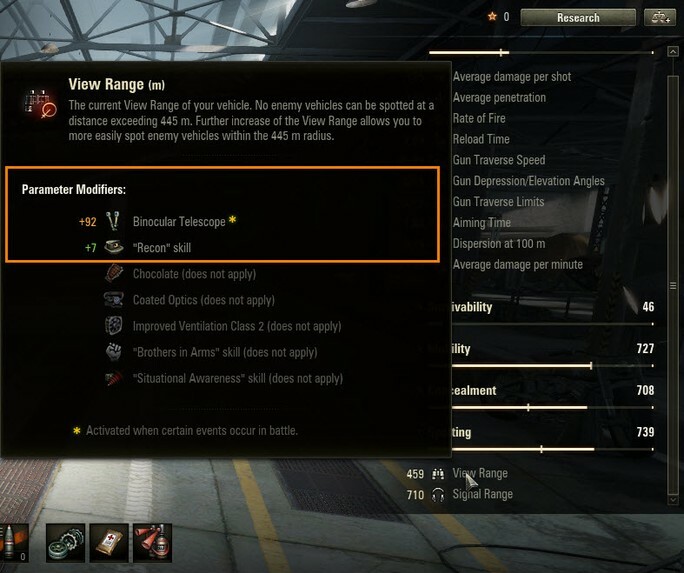 When this feature was first introduced in 9.16, many players noted that the rundown on vehicles wouldn’t be complete without including the elements that influence their performance: Crew skills and perks, equipment, consumables, camo, and ammunition. From 9.17.1 onwards, you will be able to select those parameters in a special menu and get the lowdown on a vehicle’s capabilities. Configured: Manually set configuration of modules, Crew proficiency, equipment, consumables, ammo, etc. Skills and Perks. Listed here are additional proficiencies that influence vehicle performance: Concealment, Brothers in Arms, Recon, Clutch Braking, Off-Road Driving, Signal Boosting and Situational Awareness. If you decide to go with current vehicle configuration, you’ll see perks and skills that are fully or partially trained and their effects in a tooltip to the right. For your convenience, partially-trained proficiencies are considered 100% trained here. 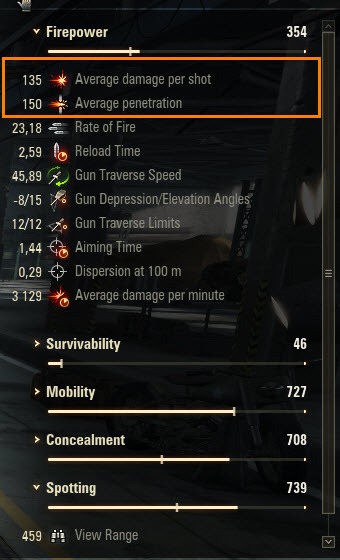 If you don’t have a certain perk, but want to see how training it will increase a tank’s overall performance, make sure you have the crew set at 100%, then select it. Perks you add will be considered 100% trained. If you aren’t that into it, just flag “Select Top Configuration,” and we’ll get it done for you. 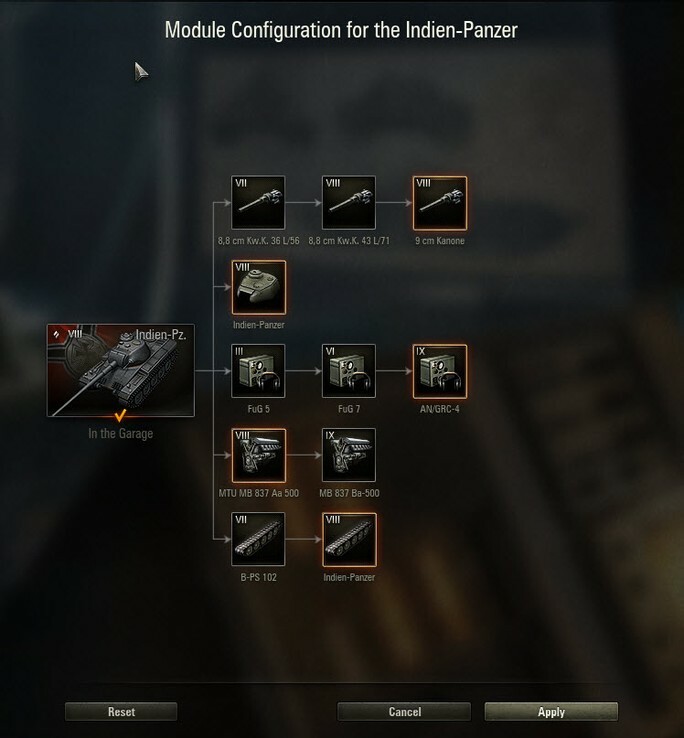 It’s even easier with Premium, reward, and the majority of Tier X vehicles: the top configuration is the only one for them. Consumables and equipment. You can choose any item from the list. To keep things simple, we highlighted those that don’t affect technical parameters with an exclamation mark (“!”). Keep in mind that any consumable or equipment adds to the vehicle’s overall weight and may slightly reduce its mobility. Camouflage (not available for vehicles that have pre-installed camo). Since all camo types provide the same bonus, you have just two options here: mark whether you have it on or not. Ammunition. The default type will be marked in a tooltip on the shell. And you can see it compared to others, right in the tooltip, which will make it a lot easier to choose the most useful shell for the job. Also, these newly-added tooltips aren’t just for vehicle comparison. They are just a small fragment of the improvements to the simplified technical characteristics display that will make its way into the game in the next update. One-time cost equipment that affects combat performance (e.g., Binocular Telescope and Camouflage Net) will display their familiar icons. On top of that, you’ll see how much of a bonus they give you in solid numbers. 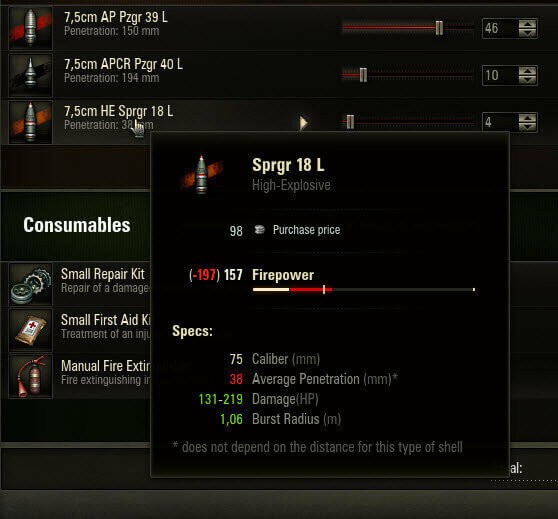 Instead of the “Standard Shell Penetration” and “Standard Shell Damage” ranges, you’ll get an average number for each, shown in the Garage and Vehicle Preview Mode. Ranges remain: they will still be shown in a tooltip. 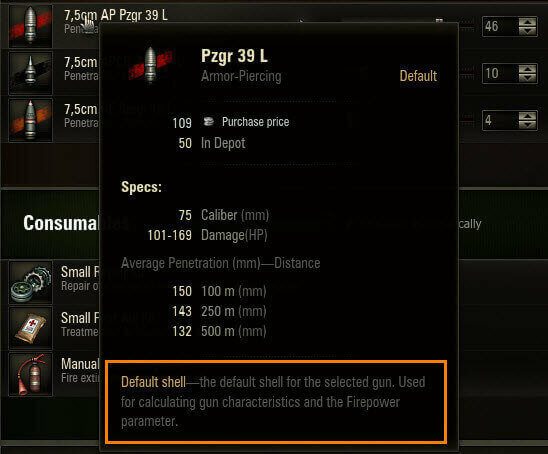 Ammo type representation will get a slight revamp a well. 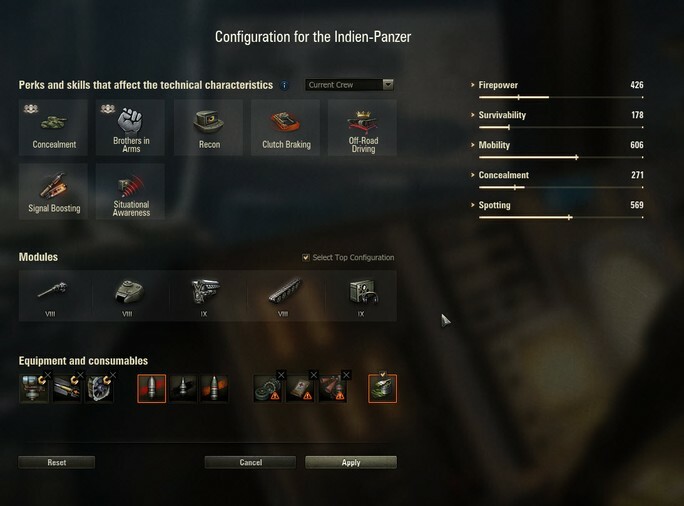 Just as in the vehicle comparison screen, the default type will be underlined in a tooltip, while others will be compared to it right there. These are long-awaited changes that we hope you’ll enjoy. The teams around the studio are continuing to monitor and optimise your gaming experience. As we get closer to 9.17.1’s release, we’ll continue priming you for what to expect with the update. So, stay tuned.